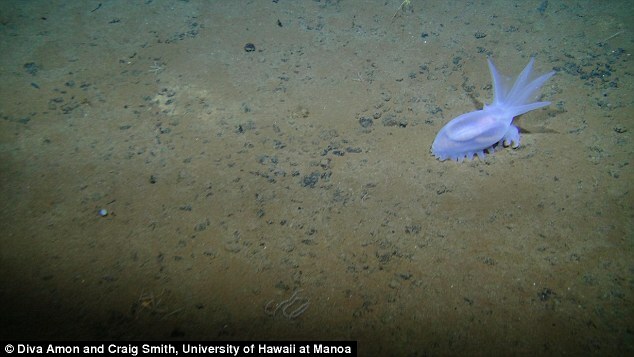 The seafloor in the Clarion-Clipperton Zone, which covers 4,500 miles across the Pacific Ocean, appears to have a particularly diverse ecosystem. It is estimated there are billions of dollars worth of coveted minerals such as gold on the sea floor. Yet scientists fear this exploitation may deprive them of studying creatures of the depths that have so far eluded the attention of man. 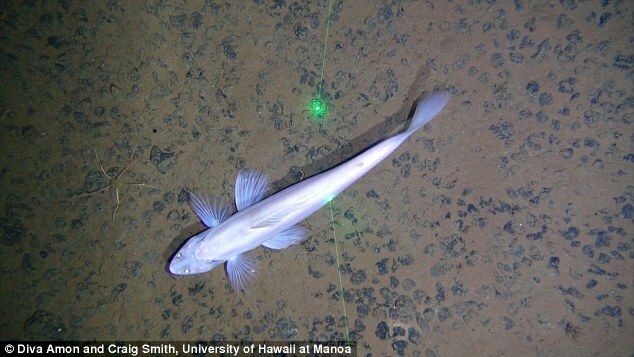 The study, by researchers at the University of Hawaii at Mānoa School of Ocean and Earth Science and Technology (SOEST), found that more than half of the species at the site were new to science. The area has a high concentration of polymetallic manganese nodules, which are potentially valuable resources of copper, nickel, and other metals. The researchers used a remotely operated vehicle to survey the sea floor at five sites to estimate the abundance and diversity of the ecosystems. They found that the areas with more manganese nodules appeared to have more animals. Megafauna in the area also appeared to be dependent on the nodules, which suggests that removing them for mining could negatively impact their diversity. Despite these findings, which are published in Scientific Reports plans are still going ahead to begin mining. The researchers will be publishing more papers about the seafloor biology of the Clarion-Clipperton Zone, which they hope will help effectively manage the area and mitigate the environmental impacts of deep-sea mining. 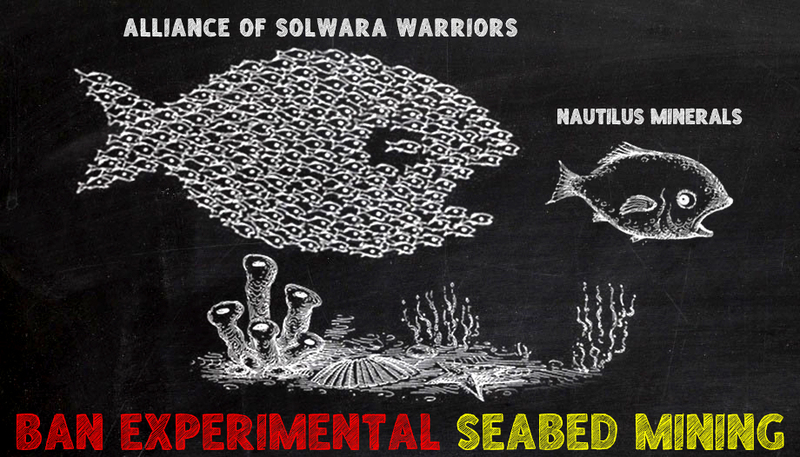 Although corals and algae can be imaged in laboratories, a lot of information is lost outside their natural environment. The physical environment is continuously changing with variations in oxygen, pH, temperature and fluid motion. Organisms interact with each other in complex and non-linear ways across a wide range of scales. Additionally, many of these biological and physical processes are coupled and influence one another. It is difficult to study these processes in the lab, as it is impossible to fully replicate the intricacies of these natural systems. As a result, a distinct need exists to make observations of important environmental processes, under natural conditions. Mineral Resources Authority has granted permission for Ramu NiCo to resume logging operations at its Kurumbukari mine site. The permission was issued by Inspector Joseph Umare last Monday following a visit to the mine and logging training sites after the logging cessation order was imposed in August last year by the inspectorate following a fatality following the logging activity by a logging contractor. The permission was given with several conditions including the health and safety of logging crews and those who are engaged in the logging activity. 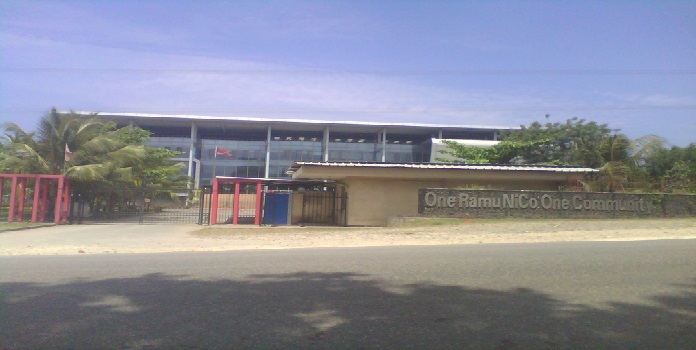 The logging permission follows immediately after the permission by the Inspectorate on Thursday, July 21, granting the company regular operation permission, permission for the restart and operation of HPAL (high pressure acid leach) Train Three at Basamuk refinery and the relaxation of cessation order of blasting of limestone at the Basamuk refinery quarry. The SML8 land area allocated for mining activity at Kurumbukari in the Bundi LLG is mostly covered by natural forest and the permission by the Mines Inspectorate for logging now paves way for the company to clear the area without disruption. The selected logs of economic value will be transported out of the mine site to a designated milling site by a contractor already engaged by the company. Ramu nickel/cobalt project is the only mining company conducting logging activity apart from its approved mining permit for the benefit of the local landowners and the province given the economic value of the tree species. Planti farmers long Autonomous Bougainville rijan long Papua New Guinea i tokim ABG gavman long lus tingting long ol wok mining na strongim agrikalsa. Planti long ol despla pipal em ol save growim na lukautim ol Coacoa na Coconut farms em oli tok oli gat bikpla save long mekim. Wanpla chief blong Suir long North Bougaiville Pais Silaves itokim midia long PNG olsem, klostu olgeta pipal long ples isave long wok agrikalsa na emi stap pinis long bulut blong ol. Emi tok tu olsem ol wok mining isave helpim tasol liklik laen pipal taem cocoa na coconut farming isave helpim olgeta pipal. Bougainville ibin stap olsem nambawan ples long PNG long saed blong cocoa na copra prodution, tasol bikpla trabal long wok politik ibin bagarapim despla wok. Ursula Rakova, emi wanpla cocoa farmer long Bougainville na emi tokim Radio Australia olsem emi sapotim tru despla tingting. The Fijian government confirmed this week that it will resume bauxite ore exports next month. A stagnant market for the ore has frustrated efforts to sell for the past year. According to Apete Soro, acting director for mines at the Department of Mineral Resources, the firm of Aurum Exploration Fiji Ltd has secured an overseas buyer for the aluminium precursor. The stockpile in question presumably now resides at the Nawailevu stockpile area on Gaola Bay, Vanua Levu. “Depending on the ship capacity, the plan is to export approximately 70,000 tonnes of bauxite as first shipment in 2016,” Soro explained. The sale of that quantity of bauxite should fetch a net price of US$1.92 million. Soro went on to explain that the sale had been delayed thanks to weak demand from buyers in the People’s Republic of China. The fact that the bauxite mined in Fiji is of a low impurity content. “Major bauxite buyers target high-grade or high-quality bauxite. Fiji bauxite is not classed as high-grade, hence, the immense challenge faced by Aurum Exploration in securing a market or buyer for Fiji bauxite,” Mr Soro said. “Due to its low impurity content, there is increasing efficiency of processing plants and reducing processing costs and overall costs of aluminium production. “The commissioning of a bauxite ore washing plant at Aurum’s Naibulu, Dreketi mine site has assisted greatly in the company’s efforts to remove or reduce impurities in bauxite ore before export and has significantly improved the bauxite ore quality from Naibulu Mine,” he concluded. This enabled the firm to find a buyer for its first shipment of the year, explained Soro. 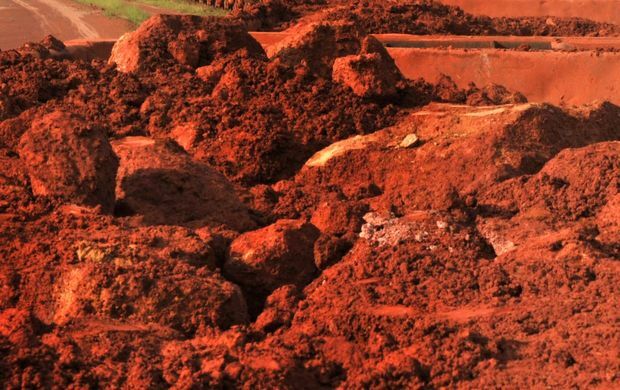 According to Fiji’s director mineral Raijeli Taga, another 30,000 metric tons of low-grade bauxite remains in country at the mining site in Dreketi, Macuata, northeast of Nawailevu, awaiting a buyer. “His experience in most facets of nickel mining and his experience in dealing with governments, local communities and joint venture partners is valuable to Axiom as we advance the development of the our nickel interests in the Solomon Islands,” it said. FORMER West Sepik governor John Tekwie says the Frieda River copper-gold project is situated in the province and not on the border with East Sepik. He said the fundamental error that the Mineral Resource Authority (MRA), the lead explorer PanAust and its partner Highlands Pacific, had been misleading all this time was the actual location of the project. 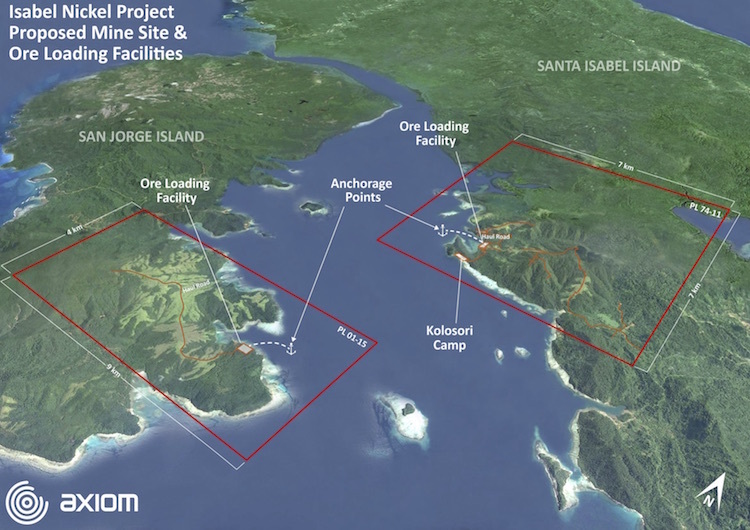 A spokesperson from the MRA said a special mining lease (SML) was yet to be issued but confirmed that the area that would be given the SML would be exploration licence 58 (EL 58), which was in West Sepik. The spokesperson indicated that areas surrounding EL 58 were mining easement licences for infrastructure and other mining purposes. Tekwie said the project was geographically and legally located in the Telefomin local level government area with landownership commonly shared between the Telefol and Mianmin tribes. “Telefomin is home of the five min tribes comprising Telefolmin, Mianmin, Oksapmin, Atbalmin and Faiwolmin. 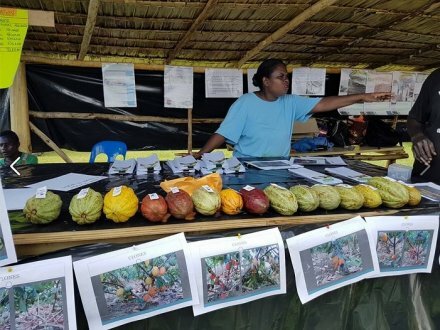 The project is about 80 kilometres Southwest from the common Sandaun-East Sepik border and is located on Nena mountain deep in Sandaun province,” Tekwie said. He called on MRA and the two project partners to address this concern. “All Sandaun (West Sepik) and PNG will benefit comes development, but as Melanesians we must always acknowledge who the customary owners are,” Tekwie said. 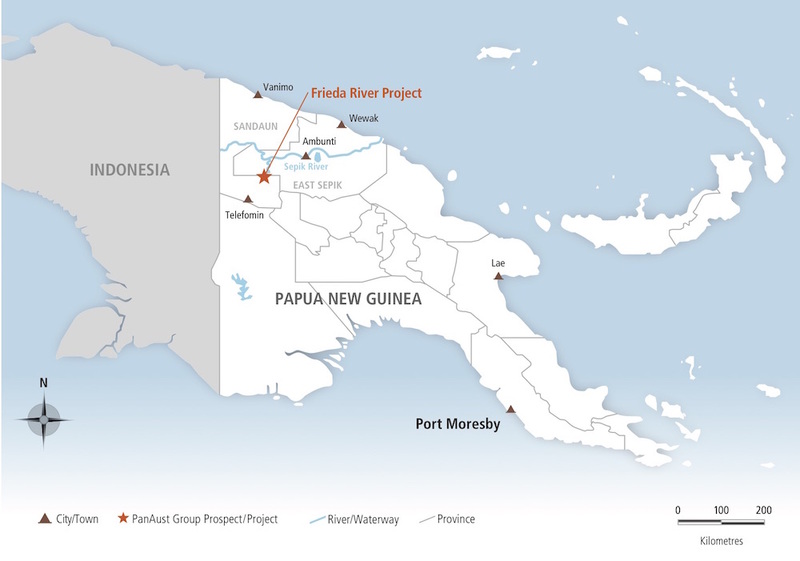 PanAust holds an 80 per cent interest in the Frieda River Copper-Gold Project with Joint venture partner, Highlands Pacific holds the remaining 20 per cent. PanAust managing director Dr Fred Hess said work had progressed throughout the June quarter on the construction of an exploration access track. “Close and ongoing engagement with the Government of Papua New Guinea, provincial administrations in Sandaun and East Sepik provinces, as well as with host communities continues,” he said.